Is Buying a Fixer-Upper the Right Plan for You? When you’re in the market to buy your first home, everything is exciting. You’re deciding what kind of house you like, the neighborhood where you want to live, and if you’ll need to buy a lawnmower for the yard. If you’re like most people, your wants and needs will outpace your budget, so you have to decide where to compromise. Or maybe not. If you find the right fixer-upper, you may be able to get the home for a significantly lower price than a comparable move-in ready home. Once you get the “fixing-up” done, you could very well be in the home you dreamed of at a price you can afford. While this is the ideal fixer-upper scenario, it doesn’t always run that smoothly. Unexpected repairs crop up, and some fixes take longer than you’d planned on or cost more than you budgeted. Before you even start looking for possible homes, know how much you can afford. This will help you put the right parameters on your search so you don’t get your hopes up without reason. You don’t have to determine the price down to the penny, but you should be able to get a good estimate based on your annual income, the down payment you have saved, your monthly expenses, the type of loan you are applying for, and the current average APR. Plug all this information into an online calculator, and it will let you know the home price and monthly payment you can afford. Assuming you dive into a fixer-upper project, where do you start the repairs? If you’re facing big-ticket structural issues (foundation, roof, walls, etc. ), do these first. The house has to be livable, and you want to make sure you can pay for the repairs. Cosmetic design issues can always be delayed, but you can’t live in the house if your foundation is shifting. 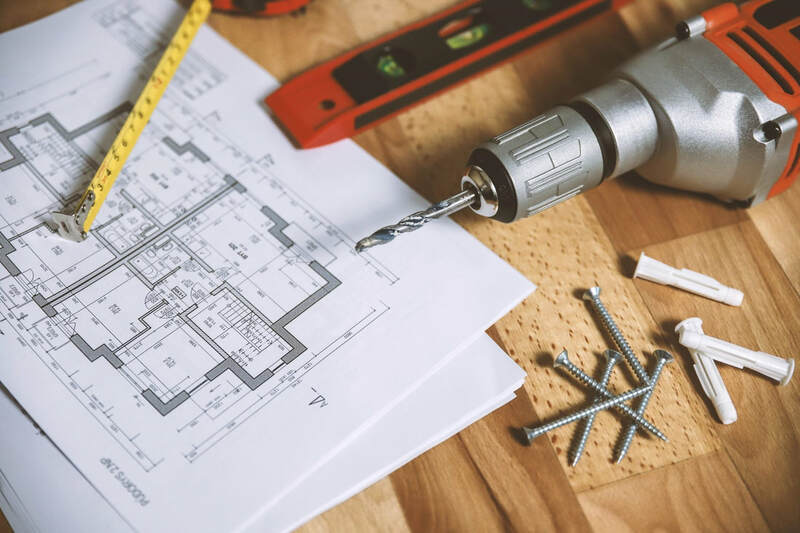 Once the big projects are complete, move onto smaller items and cosmetic work like painting, replacing faucets and finishing other interior design projects. Your investment: Will you be able to make a profit by selling the house, or did the repairs cost more than you anticipated? How much you like the house: Do you want to live there? Would you regret selling it? The location: Do you want to stay in the neighborhood? Ideally, you will have a sense of what you want to do from the beginning of the process. If your plan was to turn the house into your dream home, then you’ll likely stay. If not, you might be more willing to sell. Buying a fixer-upper is a big project for first-time home buyers. There is a lot to think through as you consider the possibility of taking one on, but if everything lines up just right, you have great potential to make a profit or secure your dream home at a low price. Either way, you could start the home-owning chapter of your life off on the right foot! ​DIY Guys (www.diyguys.net) Ray Flynn and Bret Engle have been best friends since the 4th grade. Their first DIY project came at age 10 when they built a treehouse, complete with an (ill-advised) homemade zipline exit (Please don’t tell their moms! ), in the woods behind Bret’s house. Although they grew up and had to get “real” jobs — Ray is a civil engineer and Bret is an architect — their love for DIY home projects and repairs has never died. Nowadays, they’re focused on projects that promote green living. They created a website and wrote their upcoming book, How to DIY Damn Near Everything, to give others the courage and confidence to pursue DIY projects in their own homes.